Long interested in the possibilities and intersections of natural space with the contexts of the gallery environment, Danish-Icelandic artist Olafur Eliasson has brought the landscape of the Icelandic wilderness to the interiors of the Louisiana Museum of Modern Art, in the Northern Danish town of Humlbæk. Olafur Eliasson, Riverbed (2014), via Louisiana Museum of Modern ArtTitled Riverbed, Eliasson’s installation turns a full wing of the museum quite literally into a natural stream, with foot after foot of gravel, stones and boulders filling up the space. 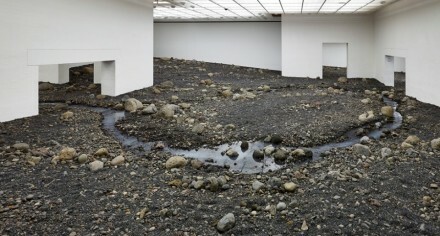 True to its name, the space is punctuated by a thin, flowing stream of water, which snakes throughout the exhibition, passing through doorways and even through walls. 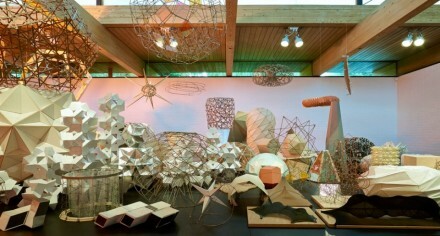 An update on the late Walter de Maria’s Soil Room, Eliasson’s work adds new layers of flux and movement. Throughout, the passage of water gradually cuts away at the surrounding rocks, and seems to gradually alter its course, altering the landscape subtly. 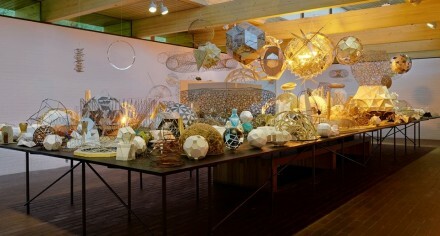 In turn, viewers find themselves immediately aware of their own impact on the work. 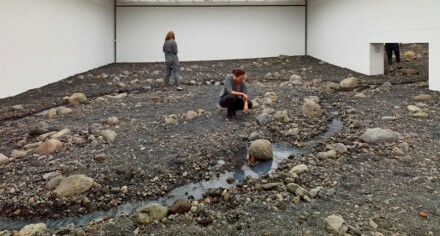 Footsteps can be seen throughout the space, and the loose gravel frequently shifts under the viewer’s weight, and frequent traffic or an errant footstep may send rocks tumbling down a slope. In other areas, doorways and passages become obstacles in themselves, forcing the visitor to duck down or shift their position to pass through. In other spaces, the terrain is slippery and difficult to pass over, making a sudden fall a very real possibility. Like many of Eliasson’s natural simulations and environment based work, the premise is simple enough: an interjection of a natural element or ecological site into the museum white cube. 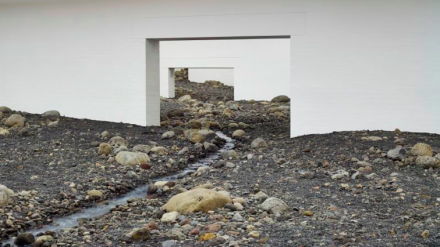 But where many of the artist’s works left that exchange between the natural and the simulated outside of the final impact of the work Riverbed seems to embrace it fully. The otherworldly environment of the space stems not from the presence of a natural, flowing stream, but rather, its place within the context of the gallery. The movement of water throughout the exhibit is lent all the more strength by the architectural manipulations that accommodate it, professionally constructed arches and doorways that frame and often emphasize the movement of water from room to room, pointing directly at the contrast of forms expressed. 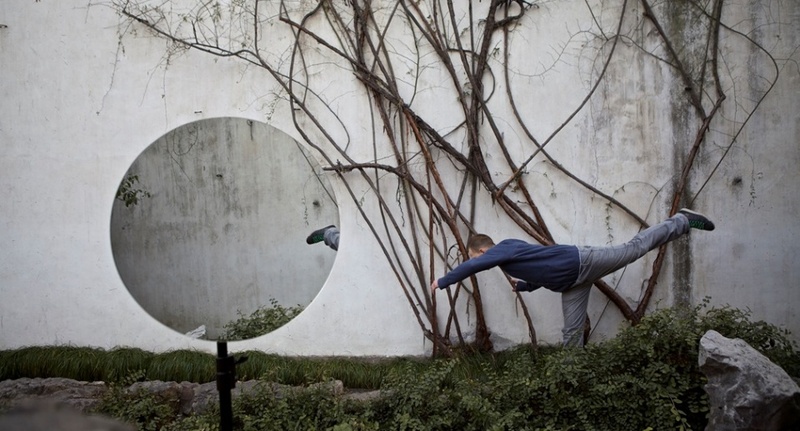 Alongside Riverbed, Eliasson is also exhibiting a series of recent video works, including Your Embodied Garden, an eerie, collaborative video documenting a performance at the Chinese scholar’s gardens of Suzhou, China. Featuring choreography by Steen Koerner, the work mimics and manipulates the language of Chinese martial arts in the historically potent space. The exhibition is also showing a new version of Model Room, Eliasson’s ever-evolving work including various geometric forms and structures created to visualize and create his works on view. In addition, Eliasson has used his new exhibition as an opportunity to launch an updated version of his website, featuring a WebGL program called Your Uncertain Archive. Combining Eliasson’s sketches and ideas in a live, flowing web display, the exhibition is a fitting cross over between Eliasson’s art practice proper and his ongoing fascination with the processes of creativity and experience. Riverbed is on view through January 4th, 2015. This entry was posted on Friday, September 12th, 2014 at 12:00 am	and is filed under Art News. You can follow any responses to this entry through the RSS 2.0 feed. You can leave a response, or trackback from your own site.